The new MCX 15 from K.M.E. is a coaxial high performance monitor with low profile casing design. The design enables two set up options – with a flat angle of 35° for a monitoring from near to short distances and a steep angle of 55° for longer distances. With its elegant optic it harmonious fits into all surroundings. 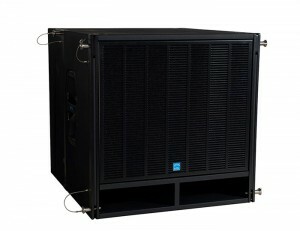 With its solid construction and the high protective front grid it can deal with the hard stage requirements perfectly. The dispersion of 65° vertical and 45° horizontal has been adapted to the monitor angle and can be rotated 90°. Each, left and right side includes a connection panel with each two Neutrik NL 4 Speakon sockets for an efficient cabeling and linking of the stage signals. In multi-functionality the MCX sets new standards – with a highstand flange inside the handle and two K.M.E. vario fix mounting points where you can install a flying frame quick and easy without any tools. 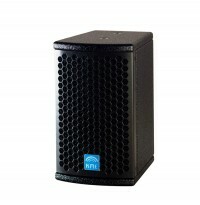 Whether as drum fill or front system the MCX 15 can be combined with the subwoofers QLB 215 and QLB 118 X. The direct-radiating high efficient subwoofer QLB 118 X is equipped with a new developed 18" subwoofer with tetra coil & dual voice coil. The tunnel design of the bass reflex casing had been optimized to minimize air flow noise. This innovations distinctly increase the sound and reproduction quality, so the QLB 118 X sounds tight and with a proper impulse response without losing the deep bass reproduction of an 18" subwoofer. It is recommended as a universal subwoofer for creating powerful bass arrays in combination wit the line array and hybrid elements of the PANO series. Its mechanical construction provides the K.M.E. typical stability. Functional details set new standards – optimal placed handles, stacking elements and the integrated Quick Release Hardware system which enables an installation of line array elements without a frame in both flying and stacking mode. 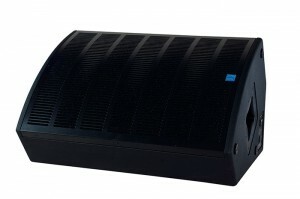 The VL 2 i is a professional, ultra-compact small speaker system with extremely brilliant and clear sound quality. It is designed for music and speech reproduction as well background and fill applications with excellent localisation features as top unit, in combination with a VERSIO subwoofer or as fullrange speaker. The light- weight but stable glued framework is covered with polyurethane coating in black or white. For vertical and horizontal installations extensive installation accessories are available. Adaptors for mobile applications are offered optionally. K.M.E. exhibits in hall 8.0 stand E 56 and live on stage the new Hybrid System at Concert Sound Arena at the open air area with daily presentations 11:30, 13:30, 15:30 and 17.30.